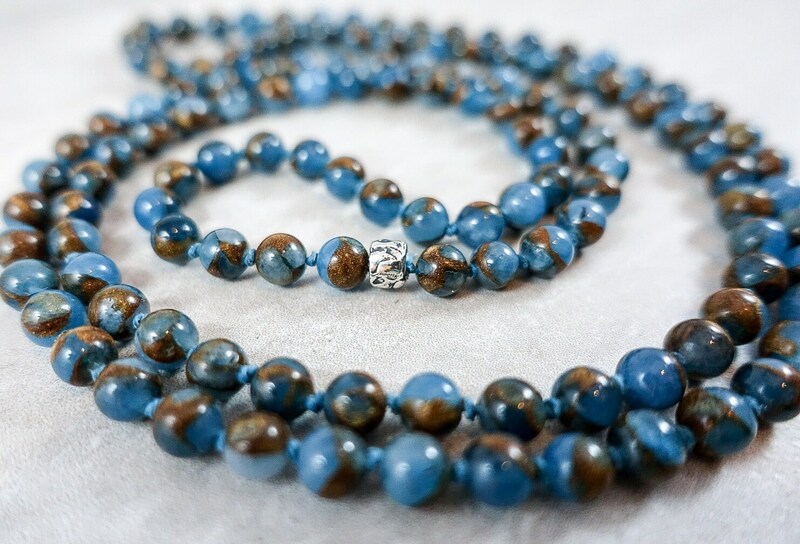 Golden Blue Agate is a beautiful stone said to bring clarity and thought-flow to those who wear it. 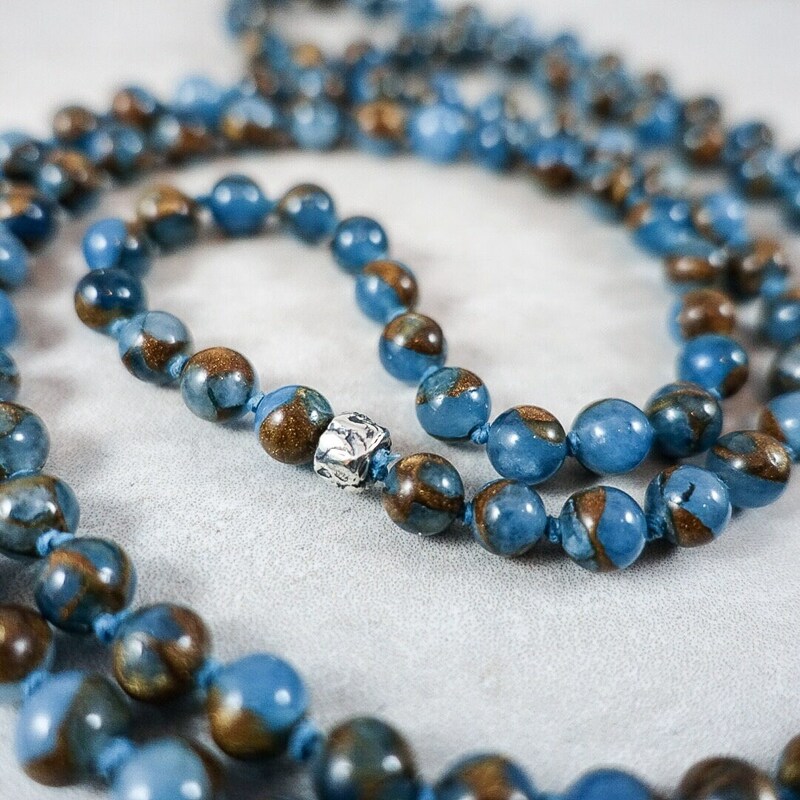 By relaxing the wearer, golden blue agate releases tension and abate feelings of anger. 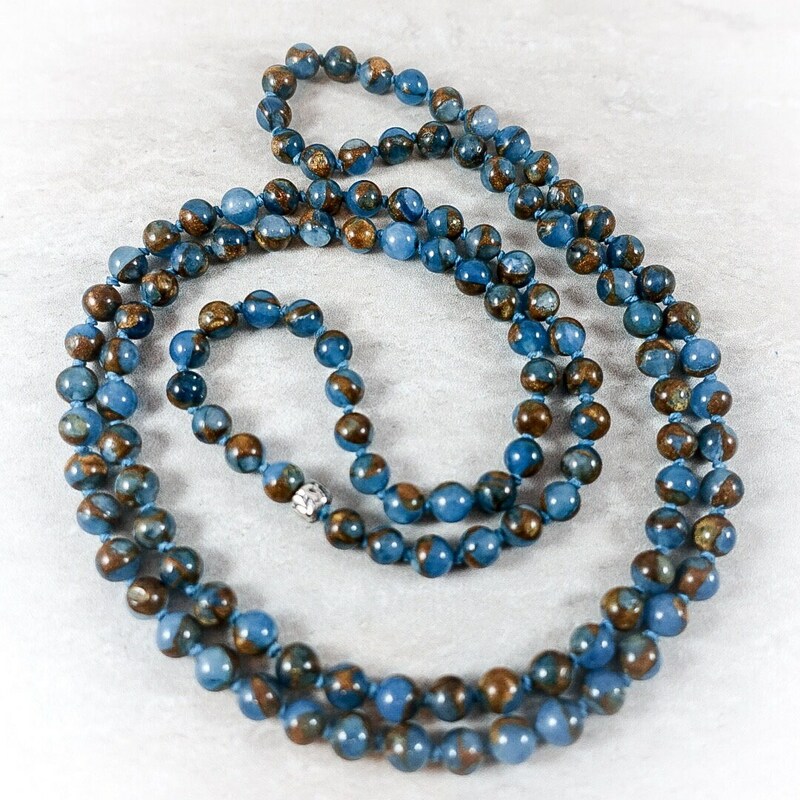 Rich teal-blue beads with stunning warm brown accents are separated by teal-colored Irish linen. 36 inches, priced at $135.